Welcome to this modern and comfortable half of a villa. 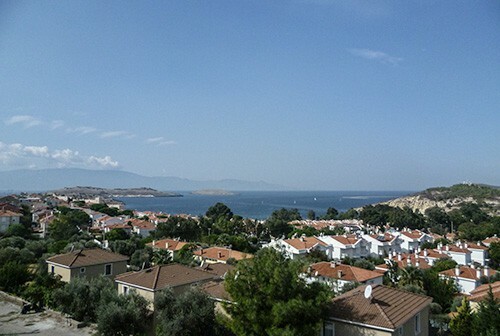 You will be able to enjoy the view of the enchanting fishing village of Eski Foca and the turquoise glittering sea. The villa is located on a little hill about 1 km outside the town, and has an indescribably beautiful view to all directions. 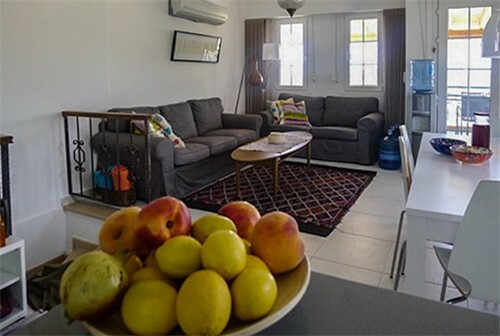 The nearest beach is about 400 m from the house and has a little, for the area typical, beach café, offering breakfast, a range of snacks, tea, coffee and various cold drinks with or without alcohol. At ground level: A spacious and modern kitchen with a dining area, a guest toilette and a generous lounge with direct access to the veranda, where you will find a grill. On the 1st floor: 3 nice bedrooms with air conditioning*, 2 of which with a balcony. 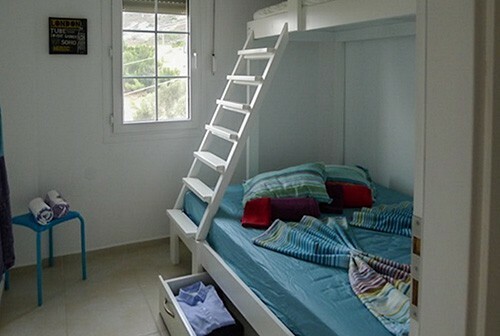 The 3rd bedroom is a children's room with bunk beds. There is also a bathroom on the 1st floor. 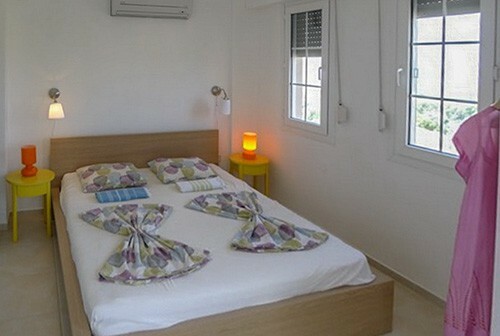 The basement contains a spacy room with a large double bed and a sofa bed. 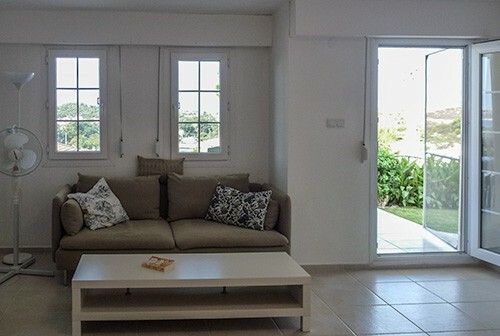 There is a TV set with international channels, and there is also a direct access to the garden terrace and the pool. 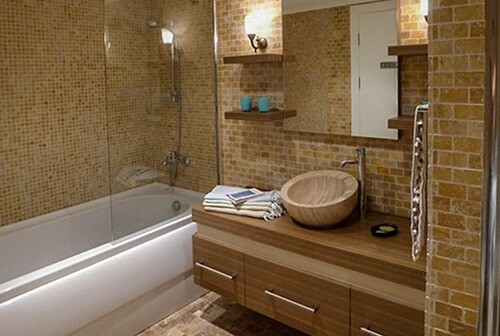 A large bathroom with toilet, bath tub and shower, and there ia also a washing machine. 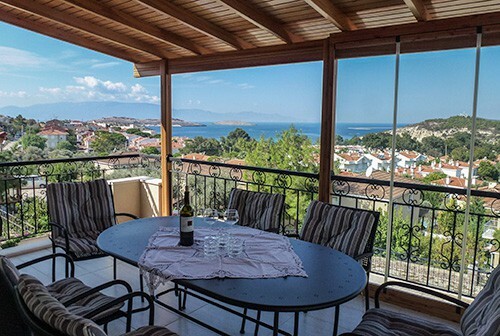 From the veranda you have an exceptionally good view of the sea and the unforgettable sunsets. It lends itself to lingering, enjoying a cup of coffee or a good book. Other: There is access to the garden and pool both from the basement and the ground level. 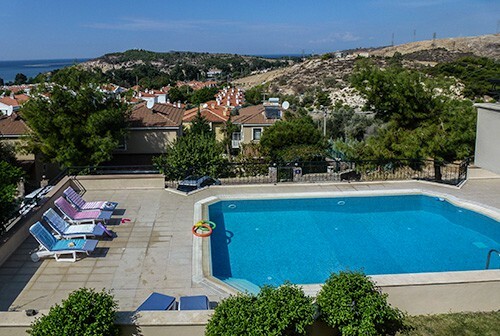 The garden and pool are shared between the villas Karanfil and Safran. The pool is open between May 1st and Semptember 15th, unless other dates have been agreed upon. Here we'd like to give you a hint about the other half of this building; It could be rented by some of your relatives or friends. 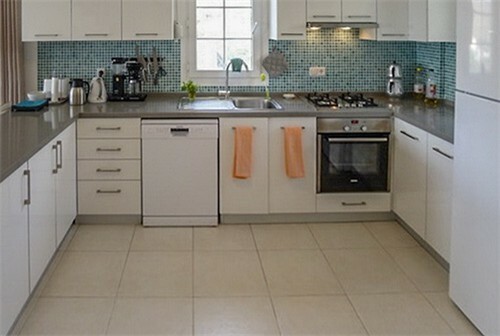 Kitchen: Gas hotplates and oven, dishwasher, fridge/freezer, water kettle and a toaster.